MASBATE—A mining company based in Vancouver, British Columbia in Canada announced that its open pit mine in Aroroy town may produce some 190,000 to 200,000 ounces of gold this year, according to a report on the Wall Street Journal. At the average price of $1,475 per ounce, said amount of gold will be equivalent to around US$295,000,000 or PhP12,685,000,000. In a separate report by RTTNews, B2Gold said that its profit in the fourth quarter of 2013 spiked despite the lower price of gold, partly because of the high production in its Masbate mine. B2Gold, which acquired the Masbate mine on January 16, 2013, has since been conducting an aggressive exploration program, which consists of drilling, geochemical sampling, and follow-up trenching. B2Gold is but one of the numerous companies which are mining the rich gold deposits of Aroroy town. Both large-scale and small-scale mining companies have set up shop in the town which is home to around 70,000 inhabitants. For years, environmentalists have been opposing said mining projects in Masbate, as they claim that such activities pollute the river with mining waste, destroy agricultural lands, and force farmers to relocate. Others, meanwhile, have expressed their concern about the health risks that mining poses for the workers. Meanwhile, B2Gold insists that the company has a strong commitment to responsible environmental stewardship and protection of human health. 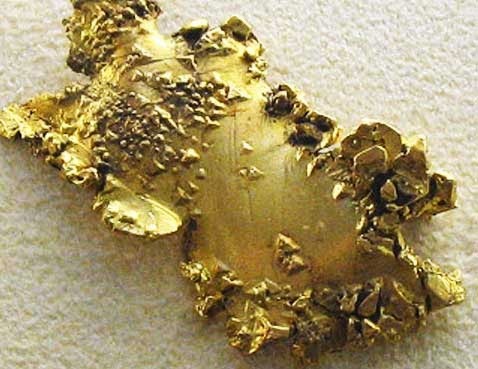 Apart from Masbate, B2Gold has mines in Africa and Latin America.